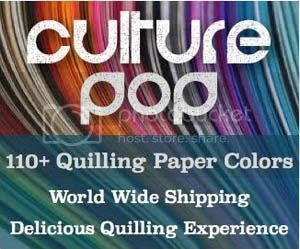 If you have questions about using sealants with your paper quilled projects, you have come to the right place! Here you will find tips and tricks, and detailed posts about different types of sealants. You can see what they look like so you can decide which type you want to try out before buying some yourself. I am in the process of trying several more types of sealants, so stay tuned and subscribe to the blog to get updates! See how Mod Podge works when you are using it on paper quilled jewelry made of tight rolls. The first in several posts about using Mod Podge for your paper quilled jewelry. Learn some tricks on how to apply a topcoat or glaze to your paper quilled jewelry. A comparison between using crystal coat glaze and diamond glaze on a tightly quilled 3D pendant. Learn how to apply sealant to your paper quilled jewelry so that the coils don’t uncurl and open. A frequently asked question! 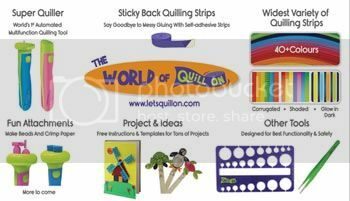 Searching for more sealants that work for paper quilled jewelry – does Aleene’s Stiffen Quik work? The answer to a frequently asked question: Can you use spray sealer to make your paper quilled jewelry water resistant? A frequently asked question is fully answered here: Can you use clear nail polish to waterproof your paper quilled jewelry? Sealant Experiments and Mistakes – Don’t Mix PPA Matte with Water! Learn what not to do with your PPA when using it as a sealant for your jewelry. Check out how four different sealants compare when used in bezel rings with gold edged quilling paper. Diamond glaze, 3D crystal lacquer, crystal coat glaze, and glossy perfect paper adhesive. I have ordered a new sealant and a new topcoat to try out with paper quilled jewelry! Learn all of the tips and tricks on how to use PPA (perfect paper adhesive) as a sealant for your paper quilled jewelry! It can be hard to decide which sealant to use for your paper quilling. This post will outline several sealants and show you how they look on your finished products! Learn how to use several different sealants to give your paper quilling a sturdy and water resistant finish!